When you’re in need of foundation repair serving San Antonio, it’s crucial that you find a qualified company to work with. Not all general contractors are equally capable of helping you with your foundation problems, so make sure you do your research. 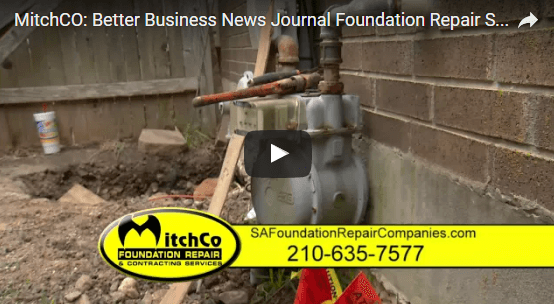 Watch this video if you would like to hear about MitchCo Foundation Repair and how we can help from our owner. Finding cracks in your floor and sheetrock can be a pain, but the team at MitchCo Foundation Repair is happy to help restore your foundation. We will take a look at your situation and offer you a free evaluation and consultation so you can decide how to proceed. Our team will also guarantee its work with a lifetime warranty, and we’ll even call you when it’s time for an inspection. We are happy to work with your budget and will do our best to find the right foundation repair technique for your needs.